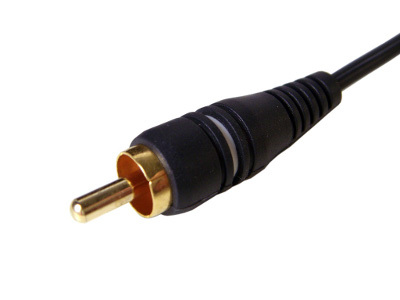 Gold on HIFI connectors is quite much talked about subject. This article tries to give some information on gold planted connectors so you could decide case by case if they are good idea to use or not. Gold connectors are very much hyped on cable advertisements. Gold is equated with being expensive so having something gold plated (even though the actual amount is very small) leads one to believe it’s worth a lot more. Plating audio connectors with them is usually just for show. The actual amount of gold is very small because gold can be pounded or anodized onto something really really really thin. Gold plating is too often just a marketing hype. There are technical reasons why connectors are planted with gold or other metals. Copper is used on the cables and connectors is a good conductor when it is pure. When copper is covered with copper oxide, the connection on connector becomes bad. So the copper needs to be covered with some other material on the conductor. If you had to plate another metal with another gold is usually the first choice as it doesn’t oxidate, is fairly chemically neutral and is third best conductor of electricity. Gold is very resistant to corrosion. It also doesn’t form oxides so it will stay in it’s pure form. That’s good thing. Gold-plating provides a long-lasting high-quality signal. Silver and copper are better conductors than gold, but both of them get oxide on their surface sooner or later. If pure copper has a relative conductivity of 100 then silver is 8% higher and gold is 74% that of copper. There are also other similar materials useful for planting connectors. Gold, platinum, rhodium all don’t react with too many other things. Other common options for planting are nickel, tin and silver. You see quite a bit is of nickel plating on the shiny connectors. Zinc-plating can offer quite similar performance that gold offers for a much lower price (for example on BNC connectors on video applications). When selecting a suitable connector planting material for a plug you need to consider also what is the material used on the jack side. If the connector whether mated with a connector made of the same metal will not result in an electrolytic reaction. If you mate connectors made of different materials, there is a risk of electrolytic reaction especially if the environment is not entirely dry. If the connectors on your gear are gold, there shouldn’t be a problem using gold connector cable. Gold would be the right choice on this case. On the other hand if the connectors on your gear are nor covered gold, the using gold connectors on the cable would not be the best choice. If you mate a gold male RCA plug with a tin plated RCA female receptacle, the result can cause a resistive connection over time, because of metal migration, electrolytic corrosion and etc. The problem is real on wet environments. In a dry room inside house usually it is quite rare to see serious problems of different metals mated to each other. There are real life examples where different materials on connector have caused problems on electronics applications. There is a risk of corrosion when installing, as an example, gold lead RAM into a silver RAM slot. The corrosion will not occur in all instances. There will be a reaction between tin and gold under certain circumstances. If you have a gas-tight joint between the tin and gold there will be no problem. However, if the contact is indifferent, particularly if there’s moisture around, you’ll get corrosion. So if you have quality equipment and keep it dry you should be quite OK.
Connector materials web page says that Do NOT Mix Gold and Tin Terminals and Headers! It is not a good idea to mate a gold terminal to a tin header (or vice versa), or mix any other dissimilar connector metals. Use the same metal for both contacts! The contact resistance will go up with dissimilar metals, causing all sorts of problems. This exact problem has been seen in the automotive industry: there have been numerous “engineering actions” and “service bulletins” because connectors have mixed gold and tin parts. To insure that contacts do not degrade by film formation due to corrosion, diffusion, or wear processes, certain practices have evolved on the compositions, ‘thicknesses, porosities, hardnesses and manufacturing methods for the golds, and for underplatings that are used with them. 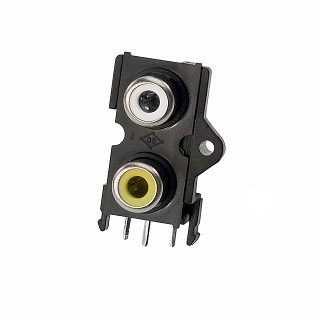 So always the best choice is to use a properly manufactured connectors with same contact material on both sides. The Great Audio Cable Debate article, founder and head of Monster Cables, Noel Lee, admits “Gold connectors are a big fallacy.” Gold-to-gold is an excellent contact, but if you have silver or tin contacts on your equipment, you’re throwing your money away and asking for problems by using a gold-plated connector. When you put electricity through a junction of dissimilar metals, there are electrochemical migrations over time that can cause problems. Keep in mind that not everything that looks like gold is not gold or there is not enough gold used to get good results. There are product with gold plating which is not real gold its just eye candy. Gold is a good conductor and works well, but when you are buying god connectors you make sure you get the good quality ones. There are lots of garbage products with “gold” in them, but many people think they are better because they have golden look. Don’t waste your money. Choosing Connectors for Test Fixturing (Test Adapters) web page has some information on different connection materials and where they work well. Here is my adaptation of that material for HIFI applications. Contacts that oxidize (such as silver, tin, or nickle): Pins that can scrape or poke through the oxide on the contacts. A high contact pressure or a long wiping distance will help to make good contact. 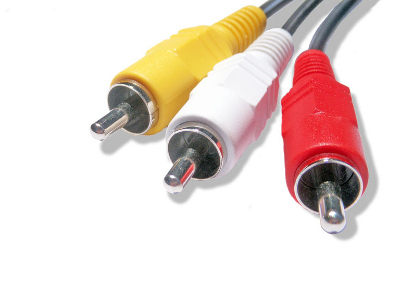 For example XLR connectors will meet those needs. There is no need for gold planting here. Whet looks gold is not always the best choice. it seems you are very professional on it. What a lovely weblog. I will undoubtedly be back again. Please preserve writing! Hi my name is Nelida and I think this is an interesting topic, where the opinions will be happy apart. Here you will find more about it http://www.connector24.info. Thanks , I have recently been searching for information about this subject for a while and yours is the greatest I have found out so far. However, what in regards to the conclusion? Are you positive in regards to the supply?|What i don’t realize is in truth how you are no longer really a lot more well-preferred than you may be now. You are so intelligent. What a lovely weblog page. I will definitely be back once again. Please keep writing! I would like to thank you for the efforts you’ve put in writing this web site. I am hoping the same high-grade web site post from you in the upcoming as well. Actually your creative writing skills has encouraged me to get my own blog now. Really the blogging is spreading its wings fast. Your write up is a good example of it. Excellent post. I used to be checking continuously this blog and I’m inspired! Extremely useful info particularly the closing phase I handle such information much. I was seeking this certain info for a long time. Thanks and good luck. That is the suitable weblog for anybody who desires to seek out out about this topic. You notice so much its almost onerous to argue with you (not that I really would need…HaHa). You definitely put a brand new spin on a topic thats been written about for years. Great stuff, just great! It is your point of reference in how we conduct our actions most often changes how we see things. Sometimes this change is good and sometimes bad but it is our outlook that controls how we act. Hello writer, It is good matter about connectors. Your blog are impressive based to all net user. I have got good idea about this subject. Thanks for this. I want to share you about fiverr. If area designed, you can think about promoting vector style on fiveer.com. These style are great in demands nowadays as web designers invariably buy these items online at inexpensive rates. Make sure that to make top great quality, flexible, useful vector style for your website and you will be developing a lot of money from fiverr, all autopilot! Hiya, I’m really glad I’ve found this info. Today bloggers publish only about gossips and net and this is actually irritating. A good web site with exciting content, this is what I need. Thanks for keeping this site, I’ll be visiting it. Do you do newsletters? Can’t find it. Do you ever run a spell check??? Ruins the technical nature of the article.